I almost traded it to friend when I wanted to purchase his Pentax auto 110 kit. And here are some recent shots with Ricoh xr-p. I did struggle with scanning at home with my limited Canon Flatbed 8800F scanner. I should have tried setting ISO to 200 as I was told by my local film shop that the BW400CN is native in 200 though labelled for 400. Most of the indoor shots come out way underexposed and I have a difficult time to pull up lighting in post processing. The shutter sound is very different than the Pentax. One may not like it as it has a high pitch noise but I much prefer it over the mechanical shutter in Pentax film bodies. It is quieter for street shooting as the high pitch noise is not as noticeable as the clunk in other film bodies. The optional hand-grip really helps me in the shooting. The Pentax has a thinner and sturdier bodies in MX or the like, but the optional grip in xr-p wins me over for steady shot with confidence. Most of the shots that I posted are slower than 1/30 second hand-held. The shots in #1 and #2 are in 1/30 and 1/10 sec as it is a no-windows interior room in shot #2. I have two lemon copies of xr-p and it shows that shutter mechanics break as easy as in any other brands. The AEL button will light up the optical viewfinder with all the electronic display for shutter and aperture and I find the viewfinder especially good for low light and night time photography with film. One usual gripe is in the peeling of its leatherette body in the xr-p and mine is unusually clean and intact with minor marks on the strap lug. Great review I'm heading to one, may I ask you if this camera has manual iso settings and which range? May I use with this SMC M Pentax 35/70 2.8-3.5 lens manual lens(specially with manual 2.8 aperture ? Which set M? 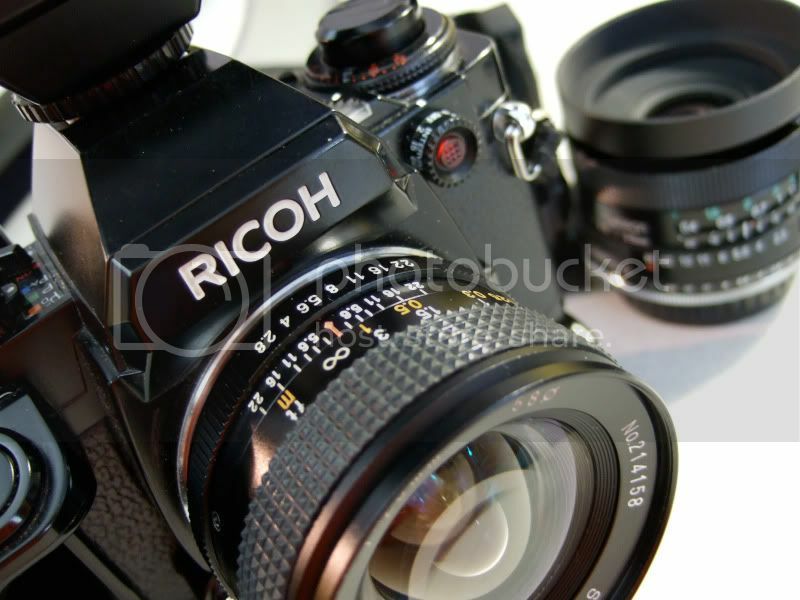 User manual of Ricoh xr-p can be found in http://www.butkus.org/chinon/ricoh/xr-psingle/ricoh-splash.htm. The asa/iso goes from 25 to 3200. K-mount manual lens with aperture ring should work without issue. Dear ,just one question,I'm using Portra 800 I see the the ASA Ring is marked 400 and 1000 where I could found the right set? just before 1000?